The boys are back for week 2 in their October month of horror! This time around J. Blake and Dion Baia are going back to the basics, doing a true B-side from the Golden Age of Horror that stars one of their favorite actors of the day, the great Peter Lorre. 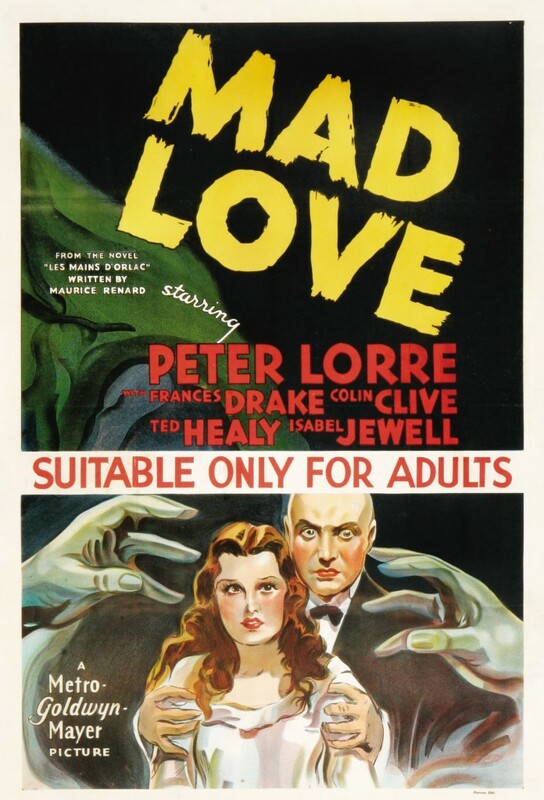 Saturday Night Movie Sleepovers gets into their DeLorean to have a hand (pun intended) at the cult classic film Mad Love, from 1935. Certainly the oldest film covered to date, Dion and Blake chat about the ground-breaking wave of American Horror in the 1930’s from studio’s like Universal or in this case MGM and discuss how it set the bar, its influence still even seen today. They set the stage by going through the mindset of Post-WWI Europe, a time when German Expressionism was first seen, a movement that played a huge role in Horror cinema and explain the context of the mass exodus from 1930’s Western Europe; the artists of which eventually landing in Tinseltown, and how their unique visions of the world gave Horror the foundation that it was built upon, which still continues to thrive over 85+ years on. 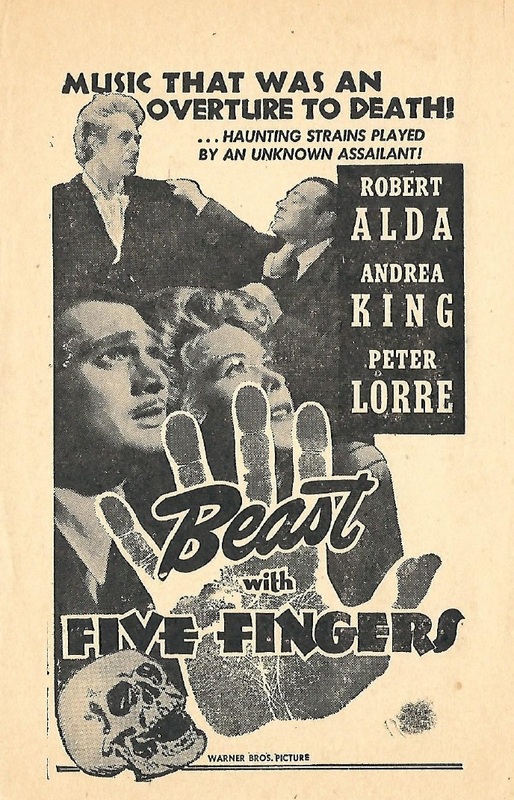 They go into the history of Peter Lorre and this underrated and little-known film (his inaugural to American audiences) which contains a scene that might possibly be one of the most horrific and frightening images from the era(!). How the heck could this film actually help usher in a complete ban of the Horror genre in the United Kingdom, culminating eventually in Hollywood actually abandoning the genre entirely almost until after the Second World War? 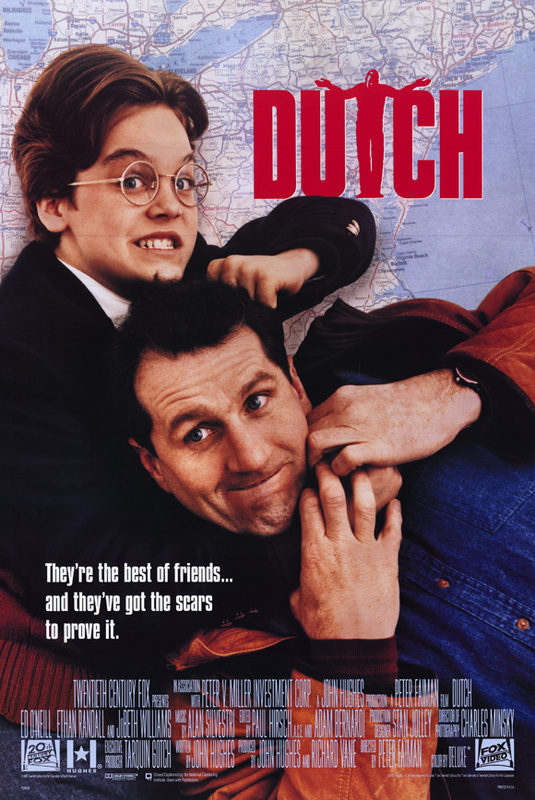 How many of the actors in this film alone met a sad demise due to alcohol and substance abuse, echoing the sad times of the day within Hollywood? And how the heck is this film connected to the 3 Stooges? And while you’re at it, learn about the faux-James Bond film that was never shot Blake and Dion devised, involving Cary Grant, James Mason, Peter Lorre, Jimmy Stewart and Vincent Price, directed by Alfred Hitchcock! It’s an all new fun, fact-filled, old school, Halloween edition of Saturday Night Movie Sleepovers! Here’s the boxset Hollywood Legend’s of Horror Collection that contains Mad Love. 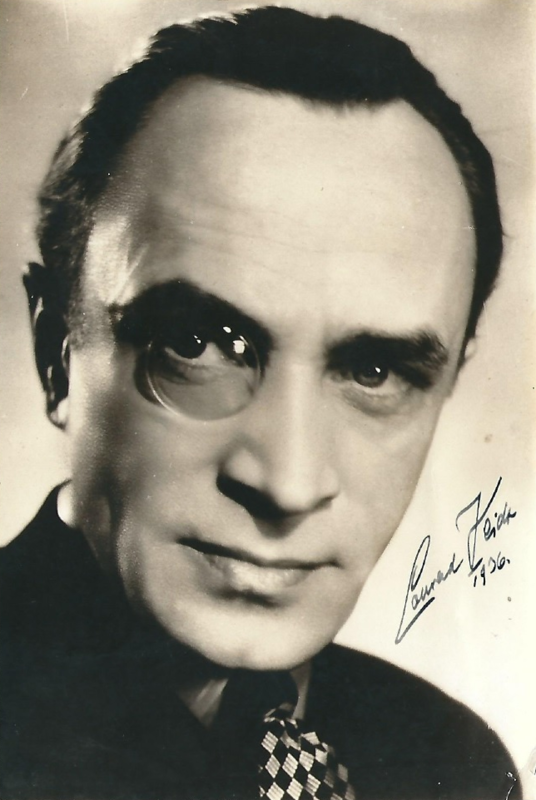 Straight out of the SNMS Archive and mentioned in the cast, have a look at an original autographed 8×10 of the legendary Conrad Veidt! 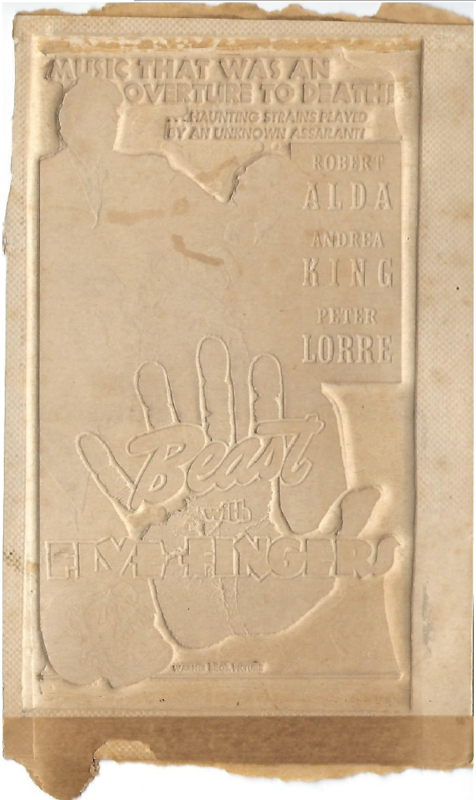 Another treasure in the SNMS Archive, is an original newspaper ad for (Dion’s recommendation this week) The Beast with Five Fingers, as well as an original cardboard printing plate used by newspapers to print the same ad. 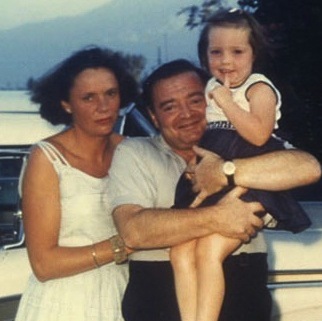 Take a look at the picture that saved the life of Peter Lorre‘s daughter from the Hillside Stranglers! Check out Peter Lorre lounging around, smoking and hanging out with a huge dog before introing the trailer for Mad Love! Boy, those were the days! For more on the beloved Peter Lorre, have a look at this documentary on the iconic actor.